AS OF NEXT Friday, 27 May, there will be 1,031 speed enforcement zones operational around Ireland. That’s an increase of 49% on the previous figure of 725. The additional 355 speed-monitored zones (with 49 being removed due to a lack of recorded speeding incidents) will come into effect following a major expansion of the safety camera monitoring programme on behalf of the gardaí. The safety camera programme (speeding cameras housed in mobile vans) was first introduced in 2010 and outsourced to a company called GoSafe. Since its inception over 938,000 speeding tickets have been issued on roads across the country. That is a lot of speeding tickets. 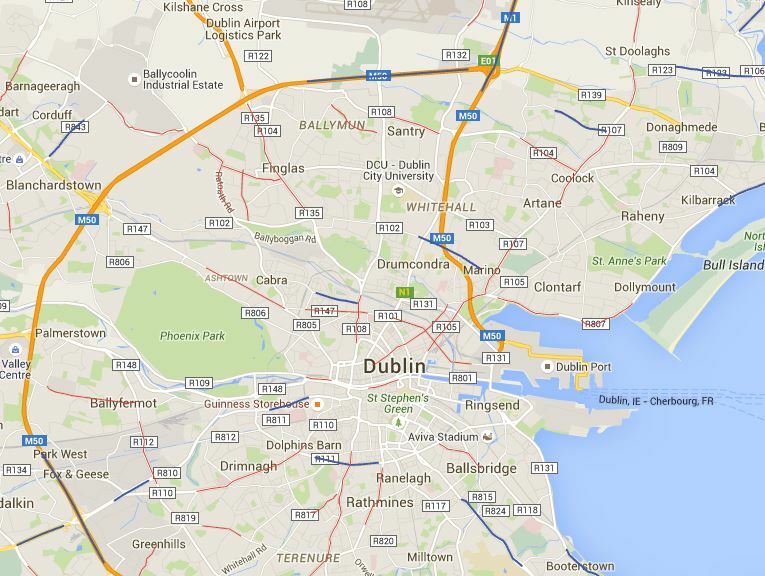 The objective of the gardaí’s recent programme was to identify new zones that were heretofore unmonitored. Of the 355 identified, 54% were on regional roads and 32% on national roads. The remaining 14% are split evenly between local roads and motorways. You can view the new zones (denoted in red), along with those deleted (green) and those that remain from before (blue), here. “The safety cameras are proven life-savers and only operate in areas which have a speed-related collision history where fatal, serious injury and now minor injury collisions occur,” said Garda Chief Superintendent Aidan Reid in relation to the launch of the new zones. There is no doubt these safety cameras save lives. They actually operate at a financial loss, but the human savings are incalculable. GoSafe itself is contracted to provide a minimum of 7,375 hours speed enforcement and 100 hours surveying per month as instructed by the gardaí. The firm are also set key performance indicators to ensure enforcement is targeted at key days and times – with a particular emphasis on night-time and weekends. Email “There are now over 350 new speed enforcement zones on Irish roads nationwide... *”. Feedback on “There are now over 350 new speed enforcement zones on Irish roads nationwide... *”.